We are happy to announce that BrickLink MOC Shop and CUUSOO are teaming up to create a new platform that will publish custom MOCs created by users like you. CUUSOO Systems has previously operated what is now called LEGO Ideas (with The LEGO Group), supporting aspiring creators from around the world get their products manufactured. Through this collaboration, the threshold will be lower for MOC production in efforts to increase the number of custom MOCs available for consumers. You will be able to discover new MOCs on CUUSOO collected from all over the Internet and cast a vote for a specific model. Once the number of votes reaches 100, the MOC will be reviewed by BrickLink for commercialization. Kohei Nishyama, CEO of CUUSOO, stated, “We would like to work on this project to cultivate a new, organic brick community that will last a long time using our legacy and brand.” “I am just happy to serve the LEGO community with our services,” expressed Jay Kim, CEO of BrickLink. The joint project has attracted builders like Masao Hidaka, the builder of LEGO Piano which currently gained more than 9,000 supporters on LEGO Ideas. 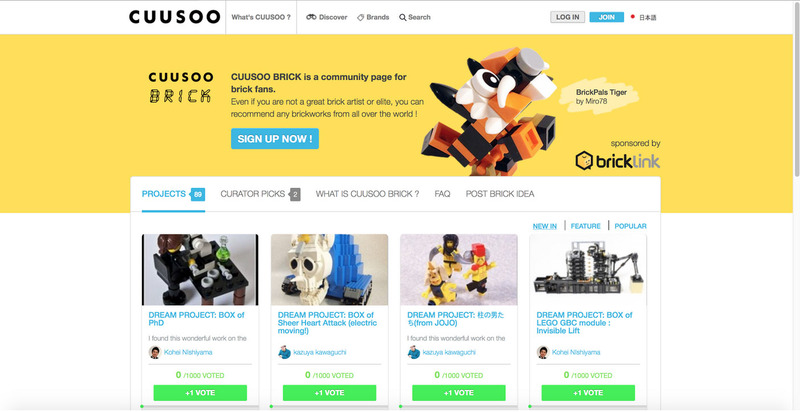 You can visit CUUSOO BRICK at https://cuusoo.com/brands/cuusoo-brick. Please extend our invitation to your family, friends, and other LEGO designers. MOC Shop now accepting Credit Card payments! Credit Card Payment is finally available on MOC Shop through Stripe! Below is a guide with more information. Before you begin, you must have a Stripe account to enable credit card payment for your store. (If you already have one, please skip this step). After signing up, you also need to set up your bank account information at Stripe Account Detail Page . 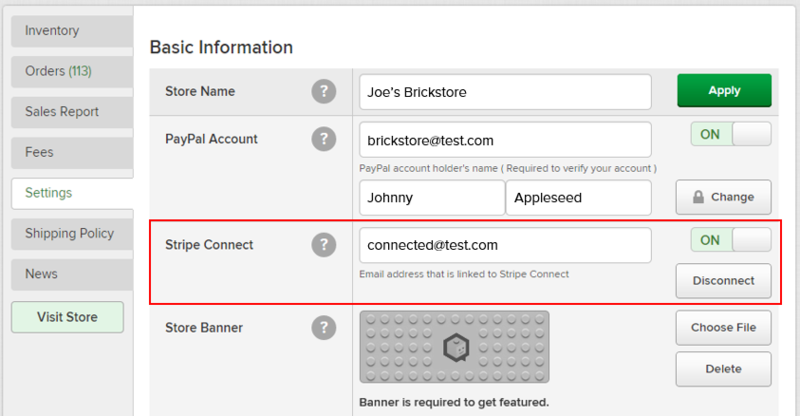 Secondly, go to your Store Settings Page, and click “Connect with Stripe” button. Now you are all set! Credit card payment is available in your store. You can turn off the feature by toggling “Off” next to the email address field. 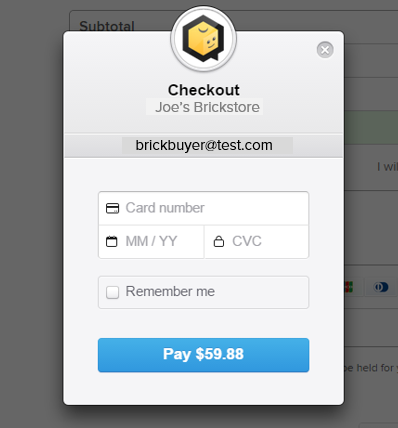 Buyers can choose their payment method at the checkout page (see below). Once the buyer clicks Checkout with the credit card payment option selected, a small pop-up will appear to complete the purchase. What credit cards can a seller accept? Visa, MasterCard and American Express are available for all the sellers worldwide. If you're a US seller, you can additionally accept JCP, Discover and Diners Club as well. How can I disconnect my Stripe account from MOC Shop? You can easily connect/disconnect Stripe account. Just go to Store Settings and click “Disconnect” button in the Stripe Account section. How much is processing fee for sellers? There's no fee to enable credit card for your store. Only standard 2.9% + 30c processing fee will be applied to each credit card transaction. The rate is exactly same with PayPal payment. Can I choose to accept only credit card for my store? 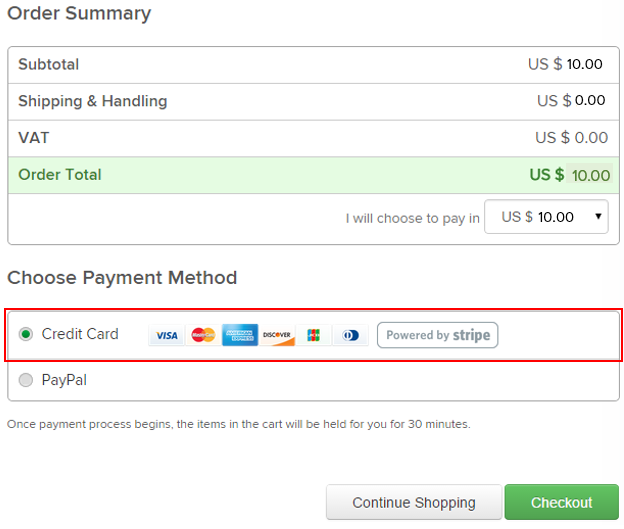 For the time being, you need to have PayPal account by default for your store. Enabling credit card payment is optional but you cannot have only credit card payment enabled. 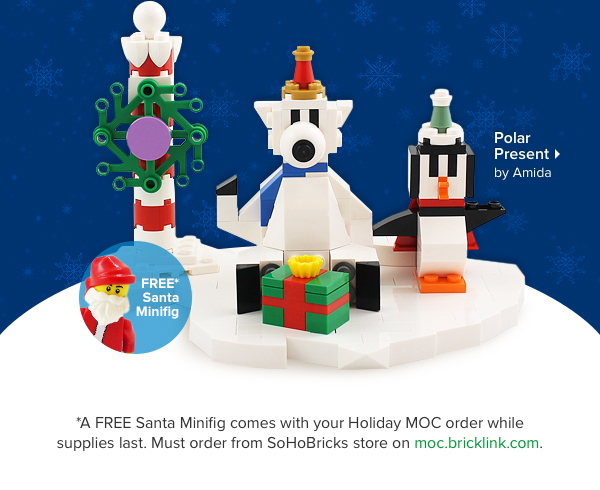 Free Santa Minifig from SoHoBricks while supplies last!